1. The HOARDER - He is the type of blogger that is always present in every event. He is always first on the going list. But sometimes he backs out the last minute wasting the slot that should have been for someone who was 100% committed to the event. 2. The KNOW-IT-ALL - He knows everything and everyone in the blogosphere. He might have been a part of several blogging groups. He also talks about himself all the time. When you tell him a story, he always has a better story. And mind you, he has connections. 3. The SUPERIOR - He bosses people around him. He thinks his better than everyone else. He tells his puppets what to say and what to do. He is always present to high end events. After all, he is superior. 5. The GIVER - I love this blogger. He helps other bloggers improve on their craft. He shares his experiences and expertise to anyone who needs it. He also genuinely makes an effort to help out others. 6. The GLUTTON - I enjoy watching him during events. It seems like he has not eaten for days that he gets more food than others. Okay, don’t get me wrong. In some food tasting events, food is shared by other bloggers. But being the glutton that he is, he takes more than his share. 7. The CENTER OF ATTENTION - This type always brings the spotlight on him. He always becomes the center of attention - whether it be talking loudly or giving out unsolicited advice. 8. The HAPPY BLOGGER - I love being around this type. He is always full of life and positivity. He does not have a bad bone towards anyone. He also makes people comfortable during events. In other words, he is everybody’s friend. 10. The VOICE - I love attending to events created by this type. I call him the voice because he acts as the voice for most bloggers who are too shy to say what they want. He also makes sure that bloggers are compensated by their time and effort. 12. 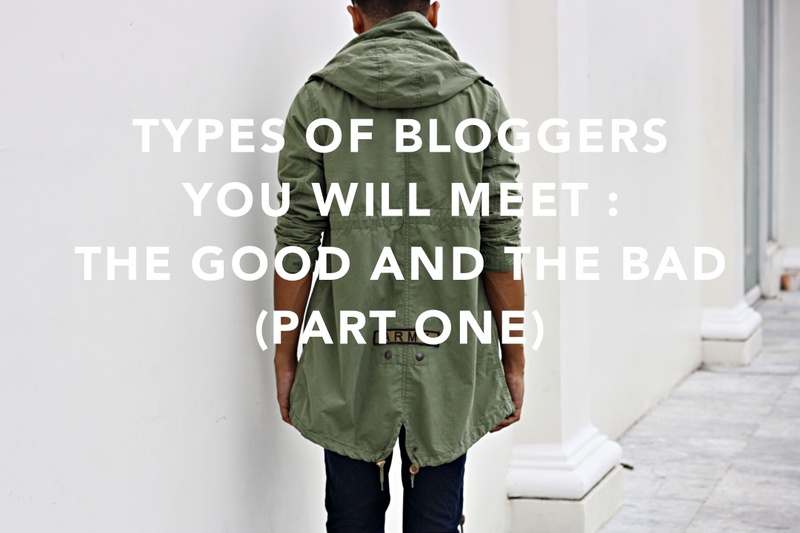 The PRETTY FACE - A blogger with a pretty face definitely gets more than the others. I just hope his blogs/content are as pretty as his face. Peace out!